The new Nexus devices just hit the play store today and it’s already sold out :P. I’m thinking about getting a Nexus 4 but I’m going to sit tight for a bit, well, mainly to wait out my current contract. But doing so will also give me a chance to see how the landscape reacts (or better yet, if something even newer comes out to compete). 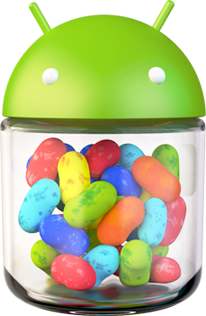 With the new devices comes Jellybean 4.2 which has a slew of new features that may be fun to play with (geneirc what’s new page if you’re visiting for 4.3 updates and beyond :P). But I get impatient and antsy waiting for Google to roll out the OTA update to my Nexus 7. Plus it looks like Google delayed the rollout of 4.2 to Nexus 7 users. So I wanted to update it manually. It’s pretty easy if you’ve installed the ClockworkMod, albeit the notices and warning will feel a bit daunting. Hence this post. I’m going to have to assume that you already unlocked the device and did all the wonders of rooting, as that’s a little beyond what I want to cover here. You can find out more about that in a post like this one. So, presumably, during the unlock and all that, you installed the ClockworksMod. If not, you can get it from the Play store. There’s a lot of ROMs out there, so take your pick that’s appropriate for your device. You can head over the Google’s Nexus page for their official devices ROMs which should have the latest as soon as it’s formally released, including all the Nexus 4/7/10… and even the mysteriously redacted Nexus Q. Places like Techcrunch and so on will post the location to the official Google ROM updates, so it should eventually end up in your feed reader (you do use a feed reader right?). Next, plug in your Nexus, and copy the downloaded ROM to a directory on the Nexus that you’ll remember. You can unplug. The rest is just clicking a bunch of menu items. Fire up the ROM Manager. I’m basing this on 5.0.2.1 so things may be different at later times. Click on “Flash ClockworkMod Recovery”. This will set the recovery system to use the ClockworkMod instance. Mine is at 6.0.1.0, so your mileage may vary otherwise. I dont think you need to upgrade to the newest, unless you want to. It may prompt you if there’s something better available. They have to make a little $$ for this convenience, so your choice to contribute if you like what they’ve done. Next, “Reboot into Recovery”. That will shut down your Nexus and restart it. It should dump you into a rather simple menu system. You can explore it, but I’m only going to zip through the process to update the ROM. From the simple menu, “install zip from sdcard”. Use the volume rocker to move the menu, and power to select. “choose zip from sdcard”. I put mine in a “temp” folder. But you there may only be 4 or so items listed initially. If there’s something like “/0/”, that’s where my temp folder was hiding. Navigate there and pick the zip for the ROM you downloaded. The big scary “THIS CANNOT BE UNDONE” of course should be heeded, but navigate to the “Yes” and click. They, as well as I, want to be certain you are doing what you want to do and not accidentally. It’ll take a few minutes to unzip and install the ROM. Sit tight and watch the pretty little progress bar. Once done, select “Go back” and then to “reboot system now”. Another bold warning about “ROM may flash stock recovery on boot”, which is actually what you want since you want it to boot normally. So say “Yes - Disable recovery flash”. Next warning is “Root access possibly lost. Fix?”. Well, um, “Yes - Fix root (/system/xbin/su)” is fine. Just a warning to be able to keep root. I dont see why you wouldn’t. And that’s it. That should now reboot your machine and if all goes well, it should come up with the new ROM installed and running. Have fun, hopefully this helped. I just didnt like all the warning messages I encountered, so I wanted to write something to just be able to feel a little better about just zipping through them. Plus, now I have the process written down for the next release when I’m purged from my memory how to get this done. A win-win :) Enjoy. developers really need to focus on ease of use. that’s the real difference when I see something like this vs something native that google has done. and would be the single reason why google cant just use clockwork’s work right off the bat without heavy UX modifications.